Wacom has this week announced that they have added new multi-touch support to their 22 inch pen display the Wacom Cintiq 22HD, which has also receive a price increase to reflect the new feature. 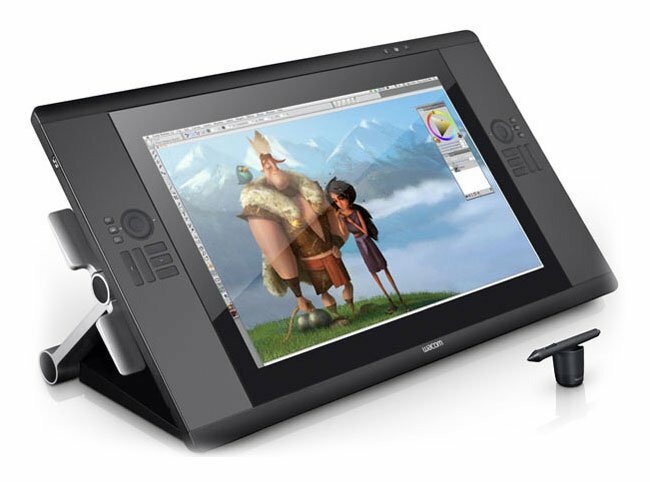 The Wacom Cintiq 22HD touch is now priced at $2,499 and comes equipped with a 1920 x 1080 full wide-format, full HD LCD screen offering 16.7 million colours, together with 16 configurable ExpressKeys. The new Wacom Cintiq 22HD touch multi-touch feature supports gestures for rotating canvases, zooming and panning, and has been designed to closely replicate the experience of designing and drawing using traditional materials such as paints and markers. The Wacom Cintiq 22HD Touch priced at $2,499 is now available to purchase from select locations and directly from Wacom’s eStore.